Okay, the new school year is fast approaching and you want to improve on last year’s spirit wear sales. The most common theme we hear from new customers is that spirit wear sales have become stagnant in recent years. We ask our new customers 2 main questions to find out where the issue lies. Question 1: What products have you been selling? Question 2: How do you sell your spirit wear? The answer to question one is generally always the same two answers. They have been selling the same products for so many years or they have no branding and are continually switching up their spirit wear. The best answer we can provide them is to have them understand how the successful college brands work. They have there staples that never go out of style and they sprinkle in new and trendy apparel each year. Most importantly they have a brand identity in everything they do. That’s the key. We get so many schools who contact us to put together spirit wear who don’t have a branded mascot. Meaning if they are the Bears, they don’t have a set bear mascot logo. We hear all the time that they just want some kind of bear. So that means my bear will be different from last years bear because there is no brand identity. The answer to question two is either the school shells out a bunch of money to buy shirts they hope they can sell on registration night or they use an order form. There are definintely occasions when buying shirts to sell at event are neccesary. However with spirit wear that’s not always the case. Order forms are a lot of work and have to constantly be manned by someone to collect them, check them for accuracy, and then reach out to all the stragglers. It’s a big effort. Spirit wear ideas and coming up with new items is tough, we get it. You are in the field of education, not marketing. That’s why we enjoy what we do because we can take a schools spirit wear and take it from where it is to a whole new place that creates brand recogniation and is a profitable venture. Let’s face it, you don’t offer spirit wear just so all the students look cute, you sell spirit wear to raise money and create brand recognition. It’s your schools calling card that says look at us, it’s a great place to get an education. With that being said we bring a lot of fresh spirit wear ideas with us in both apparel styles and brands as well as designs. We’ll take a look at what you’ve been doing and show you how we can improve on it. The first thing is creating the brand. The second thing is making sure we put you in the best position to sell the most spirit wear. Kirkwood Trading Company is a 24 year old screen printing business in St. Louis. We started out doing spirit wear for schools and teams and we have continued to work with many schools and teams all over country. 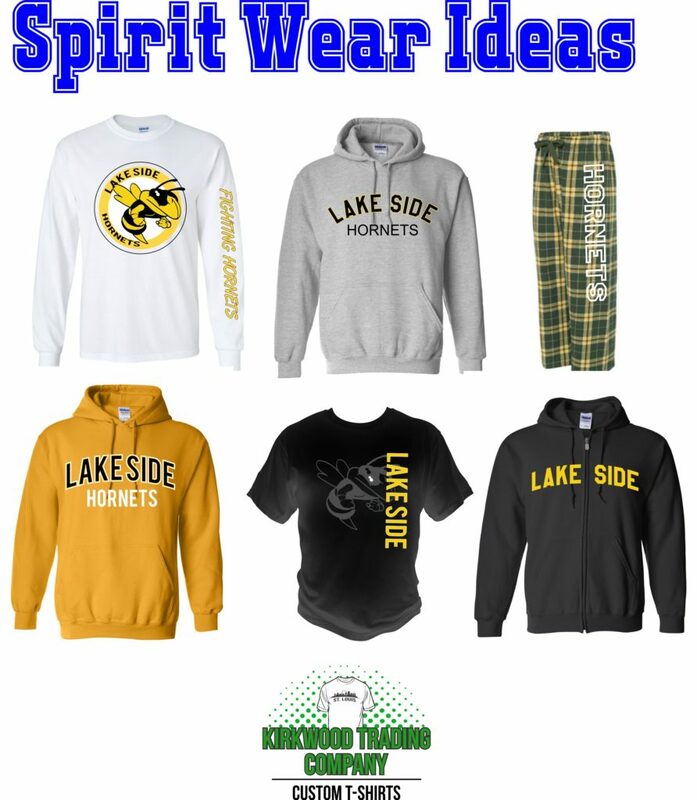 If your spirit wear is in a rut give us a call. We’ll see what we can do to help.